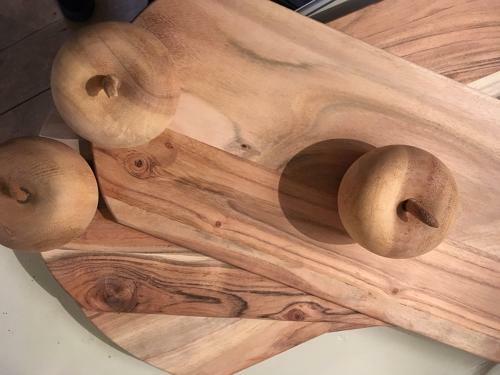 These wooden serving boards are both a stylish and functional addition to any kitchen. They come in a range of shapes and sizes, with a rope to hang them when not in use. Ideal for pizzas, cheese or canapes.